Located in Peoria Arizona, Peoria Animal Hospital has been in business since 1973. Our Veterinarians gain satisfaction from helping area pet owners keep their animals well and by healing animals that have become ill. Few things in life are as satisfying as the loving companionship that a pet can provide. Taking the time to learn all you can about what's best for your pet is the first important step toward a long, rewarding and healthy relationship and we're here to help. I graduated from Michigan State University in 1968 and practiced small animal medicine for 9 years in Michigan. The year of 1977 saw the whole family - myself, my husband, cockatiel, and poodle trekking west to Arizona. We settled in the Phoenix area where I have worked at several area practices over the years. I have been here at Peoria Animal Hospital since December, 1994. My practice philosophy is to be honest and communicate as fully as possible with clients about their pets. I try to give each patient the time and attention needed for the situation. Then I go home at night and get thoroughly sniffed over by my 2 poodles who want to know if they are still my best buddies. Dr. Satkus grew up in Homewood, IL which is a suburb of Chicago. He graduated from the University of Nebraska (Go Huskers!) with a BS in Animal Science and then went on to the University of Illinois College of Veterinary Medicine where he obtained his DVM degree. Tom and his wife, Kalleen, met as undergrads and got married during vet school. They have two fun-loving children, Luke and Paige, and have expanded their family to include three dogs, Leonard, Bogie and Gracie, and a hedgehog name Bubbles. Tom & Kalleen became the owners of Peoria Animal Hospital in January 2015. They strive every day to provide the outstanding veterinary care that Peoria Animal Hospital has offered since 1973. 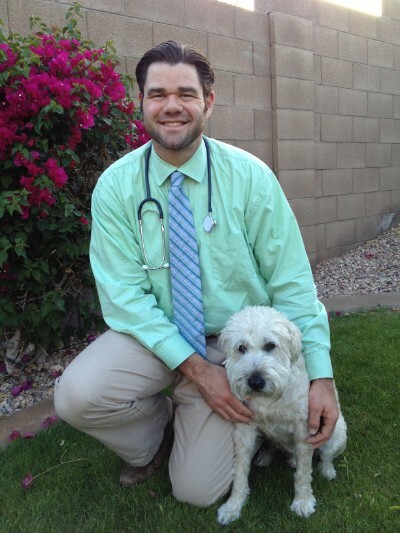 Dr. Satkus is responsible for working with animals and their owners in sickness and in health. He especially enjoys educating clients about preventative healthcare measures that will help improve the quality of life of their pets. He also finds it very satisfying helping a client make it through a difficult time when their beloved companions are not well. In addition to seeing cats and dogs, Dr. Satkus sees guinea pigs, rats, mice, gerbils and hamsters. Dr. Jeanine Snow is an Arizona native born and raised in Phoenix. She attended Arizona State University where she received her Bachelor’s Degree in Agribusiness. Dr. Snow then went on to Colorado State University College of Veterinary Medicine, graduating in 2006. After graduating with her DVM degree, Dr. Snow moved back to Arizona where she practiced large and small animal medicine for eight years both in the southern and northern parts of the state. Deciding to move back to Phoenix permanently, Dr. Snow decided to join the veterinary team of Peoria Animal Hospital in January 2016. 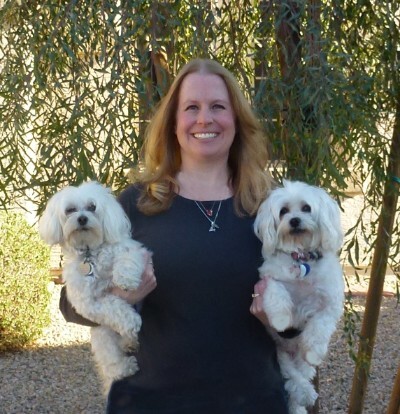 Dr. Snow’s family in Glendale consists of her two Coton de Tulears, Corbin and Kaelie. Dr. Snow’s goal is to help clients’ four legged family members thrive and send them home healthy and happy. Dr. Leeann Crowe is originally from Upstate NY, a small town outside of Buffalo called Cheektowaga. She completed her undergraduate degree in Wildlife Biology from Syracuse University in 2012. After graduating from Syracuse she moved here to Phoenix to be with her husband Daniel, and now has a little girl named Charlotte. 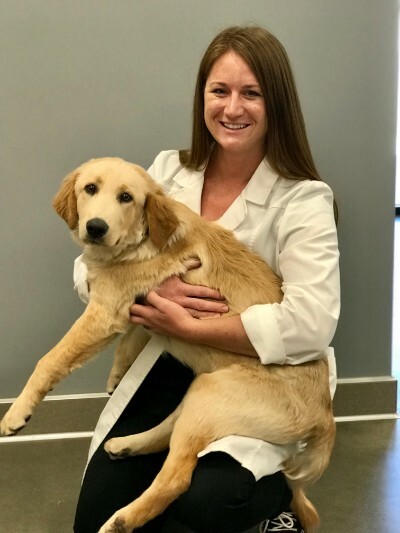 Dr. Crowe worked at Peoria Animal Hospital as a technician when she first moved to Phoenix, while finishing her credentials to go to Veterinary School. Dr. Crowe was accepted to veterinary school locally at Midwestern University and was part of the inaugural graduating class in 2018. After graduating she rejoined the Peoria Animal Hospital family as the fourth veterinarian on the team. Dr. Crowe has a two dogs (German Shephard & Chihuahua), two cats, Sulcata tortoise, cichlids, and horses. And enjoys working with a variety of animals. In addition to seeing cats and dogs, Dr. Crowe will see pocket pets, small mammals, reptiles (non-venomous), birds (parakeet size or smaller), and pot-bellied pigs.